AT NEW HAMPSHIRE PARTY BUS, WE SPECIALIZE IN "PARTIES"
At New Hampshire Party Bus we will not be doing airport shuttles or taxi service like other transportation companies that book their party bus services as a side job. Do you want to celebrate your bachelor or bachelorette party? We can put together a party that will make you a legion. Go clubbing or put it together with a brewery or winery tour. I was planning brewery tours back when the Vermont craft beer industry was just starting to take off. Just the other day I was on a bachelorette party when one of the party goers was commenting on the custom decorating that was done for the party. Complemented me on the general decor and said it show a lot of personality. Another party expressed regret that I couldn’t come to their home state and do every party they want to plan. But I’m just committing to partying in New Hampshire. 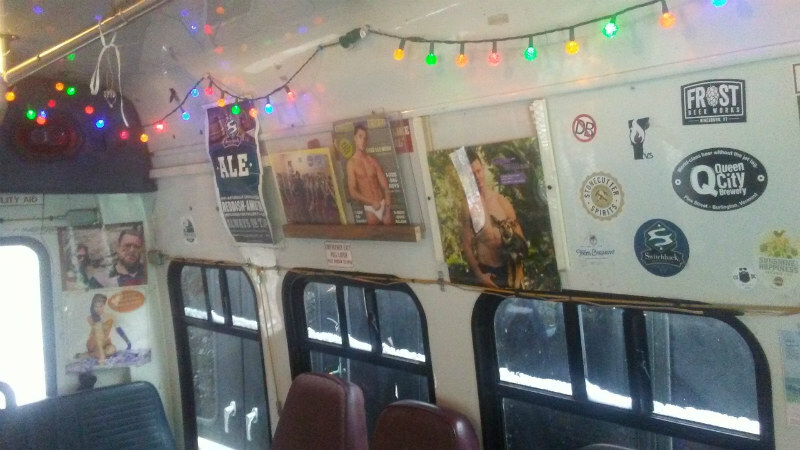 Visit the "Testimonial" page to see what people have been saying about the parties I facilitated in Vermont to get an idea of what you will be experiencing on a New Hampshire Party Bus. Then go to the "Contact" page and book your party today. I operate with a party bus. The party bus is approved for 14 people. You can Bluetooth to the stereo system from your media devices and there is a TV/DVD for movie playing. Food and drinks are allowed. We have and extensive inventory of videos of all for whatever will compliment your party. We can customize your tour. We can add in wine, hard cider and distilleries tastings to your tour (based on availability).